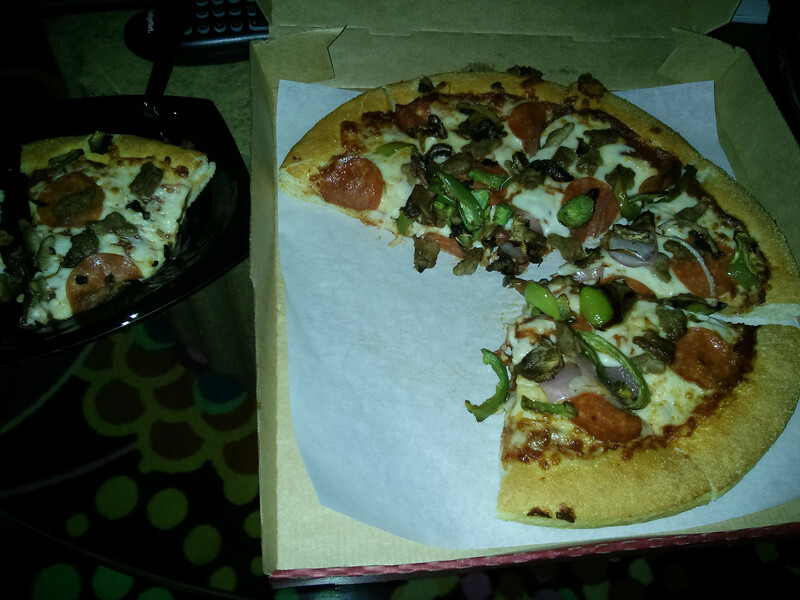 First, let all understand that I am eating midnight pizza as I write this. I may turn into a carebear for eating after midnight. I'm an extreme carebearer currently living in H.S. Ever since I found out about lv 5 missions I've always wanted to try them. But everytime I ask for advice, ppl always tell me it's a bad idea. But I don't want to give up my dreams.. (No matter how much of a carebear I am). Is it possible for you to give me advice or a few pointers. That would be much appreciated. -Anonymous has left a new comment on your post "But What Am I?" This question popped up on another post. I was going to ramble on about it there but decided to bring it forward. I will also preface with the fact that I am a terrible mission runner and I have only done level 5 mission communally. First: Read Eve-Survival. Just like any other mission the level 5's are all well documented. They are just missions in the sense that they have patterns, triggers, and keys. They are just a lot harder than level 4 missions for the most part. A handful exist that can be blitzed with a sniping battleship. They are good, fast pay outs. However, running the level 5 mission is not all there is to the level 5 mission. Level 5 missions used to exist in high sec long ago in a time before I existed in Eve. They were moved to low sec because they were rather easy, well paying content for high sec. Once they moved to low sec they became a myth. A unicorn to some. Legends spoke of a mythical series of places with another mission but if you sat in a dark bathroom and said, "level five mission" three times into the mirror you'd be ganked. The truth is that pirate corporations who are interested in making ISK tend to settle in low sec mission hubs. 7-2 has done this. THC2 also did this. Low Sec, not being high sec has a habit of having the other people in the system actively trying to kill you. So, you go to low sec and you find a level 5 station! Congrats! Chances are high that you also foud an active pirate corporation nearby. Level 5 missions need tank. This is happens many different ways. Tengu were popular. Some people are sniping with Ishtar now. However, many people who solo level 5 missions don't solo the mission. They often dual and tribox with complicated setups to handle the DPS and silly things like web and neut towers. Carriers are very popular as well to soak up the damage and repair the DPS pumping battleships. It is not (most of the time) a one ship activity. So.... when you have missioning battleships and low sec pirates you often have dead battleships. Unless it is the pirates themselves. We run level 5 missions all of the time. It is just that it tends to be in our backyard. Not that people don't come in and try to kill us as well. At the end of the day most people don't find what they make to be worth what they have/do/or may lose running level 5 missions. However, there are plenty of people who are not affiliated with the locals that do. Sometimes it becomes a mutual thing. They are good at avoiding us and we don't hunt them as constantly. Sometimes they lose a ship but for the most part we are short of attention span when there are other things to kill that are not very, cautious prey. One cannot be greedy. It is a patience game. I can name a half dozen mission runners in Molden Heath that very rarely lose ships to the locals because they have learned how to avoid us and what times of day are not worth running their missions. It also depends on where you want to mission. When THC2 went to Derelik for a few weeks last year we were in a mission hub that was very active with mission runners and not very active with PvP. All of that just says that the general methods of min/max blitz and grind of missions in high sec won't happen in the same way. There are quiet days when one can mission for hours in peace, sure. But that won't be every day and it won't be constantly. One thing about life outside of high sec is that it is exhausting to be undocked. Mistakes cause people to kill you. Constant situational awareness is a must. With all of those factors the magic god particle of "isk per hour" drops and the question rises, "Is it worth it?" For me, it is. Blitzing high sec missions isn't really an interest of mine. I'm into living in my space. I've been tagging along doing level 5 missions since the end of my first month. I wrote a lot about them back in Jan-March of last year. At that time I tagged along with Lue and he shared the ISK and LP with me and I salvaged. Once my standings were up I could also pull missions which gave him a greater pool of missions to do. We'd do them for hours some mornings with his Chimera/Machariel and me in a Noctis. The salvage netted me 20-100 million depending on the mission. They are doable. They are profitable. People do do them. While some beat their chest about PvP all the time the truth is most bear in some form or another. But you may die. Battleships are big, slow targets. It may not be worth it compared to level 4's depending on where you mission. You need friends even if they are just you. "but if you sat in a dark bathroom and said, "level five mission" three times into the mirror you'd be ganked"